When it comes to the appearance of one’s smile, one of the most common complaints is a gap or visible space between two teeth. This becomes a particular source of concern when the gap exists between the top two front teeth. While there are countries and cultures that embrace this front teeth gap, many Americans seek ways to close it. In fact, those millimeters of open space may be the reason you’ve been holding back your smile. The good news is that there are several ways to close a teeth gap and help you achieve a more confident smile. 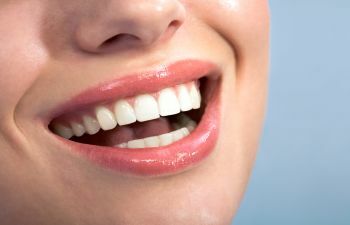 You’ll also gain a more functional smile, as chewing and speaking can improve when the teeth are more closely aligned. You may be surprised and how easy and affordable closing a front gap can be! How Do Gaps Form In the First Place? The more professional term for a space between two teeth is “diastema.” While not life-threatening, diastema in the front of your smile can be a source of concern. There are a variety of reasons why teeth gaps form, and your method of correction will be dependent on your specific cause. The above treatments are painless and produce amazing results. Please try to avoid DIY methods for closing your teeth gap. There are many products that exist online but they often do more harm than good. Want to get rid of your unsightly gapped smile? Call Crabapple Dental today!